Lawmakers pledged to deliver a postal overhaul bill through Congress by the end of the year as agency officials and stakeholders debated potential benefits reforms for employees and retirees, during a Senate hearing Thursday. Proposals to shift postal retirees away from the Federal Employees Health Benefits Program to Medicare to cut health care costs remained a sticking point, with Postmaster General Patrick Donahoe insisting any legislation require all eligible retirees enroll in “wraparound” Medicare packages. Under this plan -- the key piece of the Postal Service’s health care reform blueprint to reduce the agency’s liabilities and eliminate the need for prefunding -- retirees would depend on Medicare Parts A and B for medical treatment and Part D for prescription drugs, while FEHBP would fill in the voids for expenses Medicare does not cover. The bipartisan bill put forward by Homeland Security and Governmental Affairs Committee Chairman Sen. Tom Carper, D-Del., and ranking member Sen. Tom Coburn, R-Okla., would give postal retirees incentives to enroll in Medicare, but would not require them to do so. John Dicken, director of health care at the Government Accountability Office, told the committee that retirees already have the option to enroll in Medicare, and 77 percent are beneficiaries of Medicare Parts A and B. Requiring the remaining 23 percent of retirees to enroll in Medicare -- and including prescription drug costs -- would reduce USPS’ liability by $49 billion, Donahoe said. Some senators expressed concern the plan would simply shift costs around government. “We’re really just robbing Peter to pay Paul,” said Sen. Ron Johnson, R-Wis.
Donahoe said he had “no argument” with that logic, but added because the Postal Service is funded by ratepayers and not taxpayers -- and because it contributes significantly to Medicare -- it should be able to shift its retirees to the government-sponsored health insurance like any private business. Another point of contention arose from a USPS proposal to remove its 2 million FEHBP enrollees from the program or to create an independent pool within the FEHBP structure. 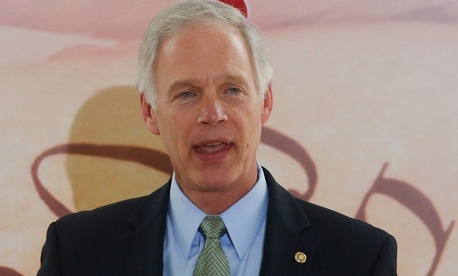 The Carper-Coburn bill would allow both changes, but would not require them. Postal Service employees account for about one quarter of all FEHBP enrollees, and Jon Foley, director of planning and policy analysis for the Office of Personnel Management, told the committee if the Postal Service removed all its participants from FEHBP, then it would lead to an average 2 percent premium rate increase for the resulting pool. The figure would vary from plan to plan, however, and many federal employees would not be affected. Foley said postal workers and retirees make up a majority of enrollees in 23 of the 256 plans on FEHBP, while they make up at least one-third of participants in 57 plans. Those plans could choose to withdraw from FEHBP if USPS created its own health care benefits system, Foley said, and the remaining members would need to choose a new plan. GAO said as few as 29,000 non-postal federal employees and retirees would be affected by removing the Postal Service from FEHBP. Lawmakers and postal stakeholders also debated what to do with, and the very existence of, surpluses in the Postal Service’s pension funds. The Carper-Coburn bill would allow USPS to receive up to $6 billion back from the Federal Employees Retirement System surplus. Johnson again took issue with this proposal, suggesting the alleged overpayment was only temporary. “That surplus can go away in a second based on the changing assumptions of those models,” Johnson said. OPM estimated the surplus was around $3 billion at the end of fiscal 2012. USPS officials have argued it would be larger if OPM had used postal-specific data, such as salary information and employee demographics. Carper and Coburn have proposed using these specific factors in the future to limit the payments the Postal Service must make into FERS and the Civil Service Retirement System. Several postal unions testifying at the hearing criticized the Carper-Coburn bill, saying it does not do enough to ease the burden of prefunding retirees health benefits. The senators proposed, absent a complete immersion into Medicare, to spread out the payments over the next 40 years. The unions also said the proposed reforms do not give the agency adequate means to grow business. Carper referenced the USPS Board of Governor’s Wednesday request for an emergency rate increase as a sign of the need for swift congressional action, and set the goal of Dec. 31 to pass a postal reform bill. Carper and Coburn both suggested their bill would see some changes before being brought to the committee for a markup.